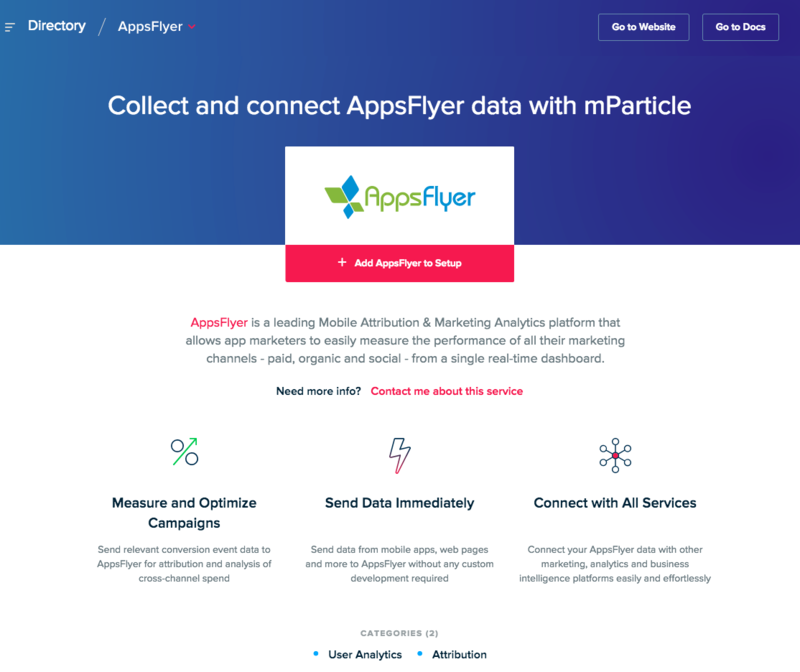 mParticle collects customer data and sends it to different analytics, marketing and data warehousing platforms. The purpose of this document is to provide you with details of how to activate event data from mParticle to AppsFlyer. 2. Refer to the iOS and Android SDK GitHub repositories for details on how to configure the AppsFlyer kit with the mParticle SDK into your app. 3. Click the AppsFlyer tile to display the integration details which provide information regarding the integration such as Categories, Available Platforms, Minimum mParticle SDK versions (if any), Data Types, User IDs, Device IDs and Available events, User IDs, Device IDs and Available Configurations. 4. Click Add AppsFlyer to Setup. 5. Select the Output Event Integration Type and click Add to Setup to open the Event Configuration Setup screen where you can continue the configuration process. 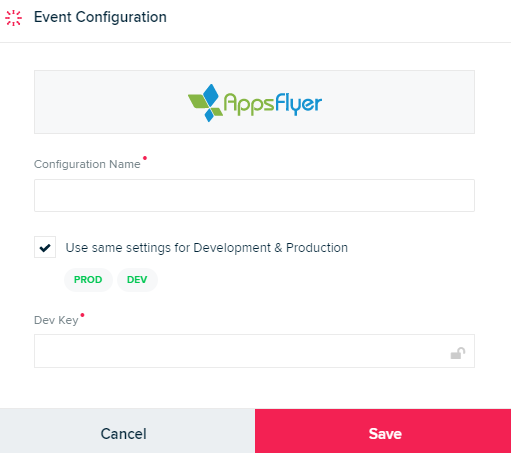 The next step is to establish a connection between your input platforms to the AppsFlyer output event configuration. 8. Select the Input (iOS in this example) and then click Connect Output. 9. Select the AppsFlyer tile and then select the AppsFlyer configuration created above. 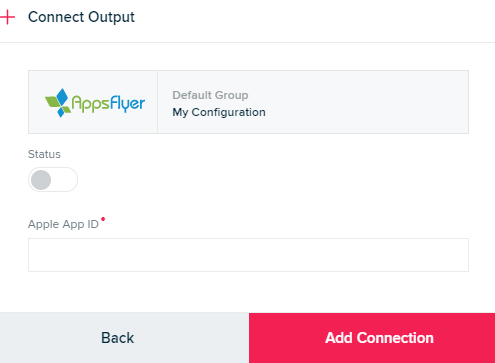 AppsFlyer is now shown as a Connected Output Further options, such as Custom Mappings, may be available. See mParticle’s documentation for more. 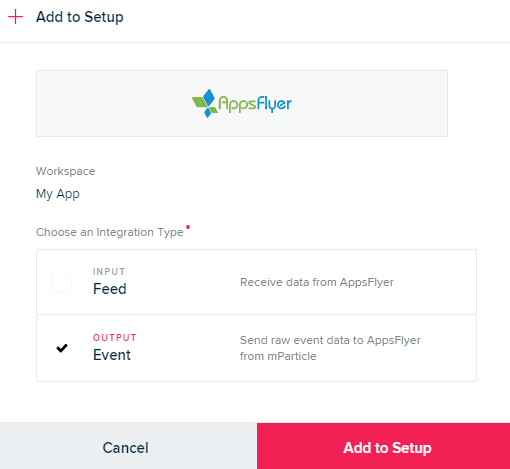 This section helps you understand how to connect a data feed from AppsFlyer to mParticle. General integration information for AppsFlyer can be found at http://docs.mparticle.com/integrations/AppsFlyer/. 3. Click the AppsFlyer tile to display the integration details which provide information regarding the integration. 5. Select the Input Feed Integration Type and click Add to Setup. You are now taken to the Setup screen where you can continue the configuration process. 7. 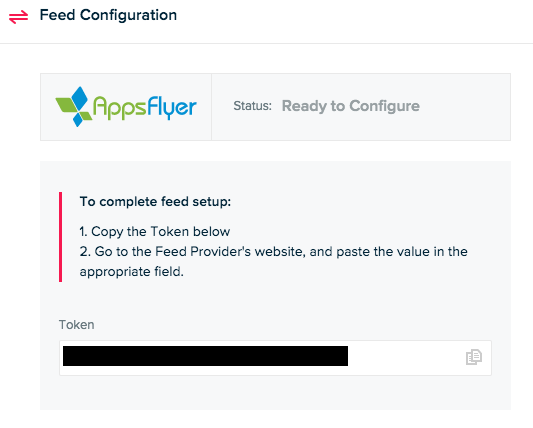 Complete the setup in the AppsFlyer dashboard using the authentication information provided. AppsFlyer allows you to access the user attribution data in real time directly at the SDK level. It enables you to customize the landing page a user sees on the very first app open after a fresh app install. This is commonly referred to as “deferred” deep linking. For more details of deferred deep linking, click here. AppsFlyer's conversion data contains a parameter called is_First_Launch. The value of is_First_Launch is 'true' on first launches only, and 'false' on all following launches. You can use this parameter to determine on every launch if the app should defer deep link the user or not. For Android: Perform this with Shared Preferences: here. //you can call this at anytime after MParticle.start(). For iOS: Perform this in UserDefaults: here. AppsFlyer also enables you to serve personalized content or to send existing users to specific locations in the app AFTER the initial launch. When existing users are deep linked into the app, the app opens from onOpenAttribution method, which returns the referring URL data. 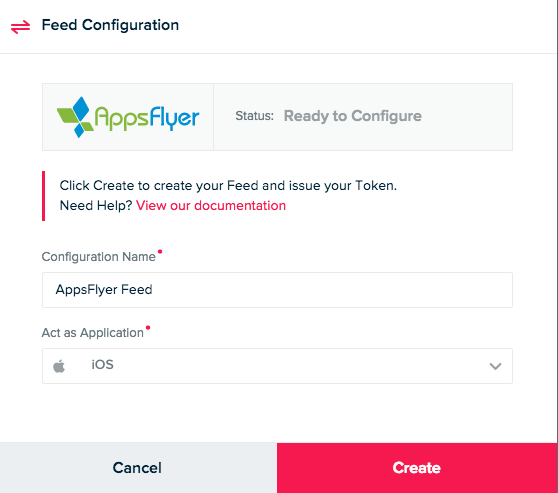 AppsFlyer uses iOS UserDefaults and Android Shared Preferences to indicate whether the user is opening the app for the first time and should be redirected to the appropriate page, or if the app has already been opened and the user has already been directed to that page. To do this, the alreadyLoggedAppsflyerConversionData value is read and written to UserDefaults/SharedPreferences, so that the value af_dp is not looked at on the first launch. For more details about serving personalized content on deep linking click here. AppsFlyer uninstall measurement is not automatically enabled with the mParticle-AppsFlyer SDK kit. The AppsFlyer instance on mParticle must be configured to measure app uninstalls. To implement uninstall measurement, for either iOS or Android, please call AppsFlyer methods directly by following our uninstall measurement documentation outlined here.